Levitt Pavilion Comes to Houston! 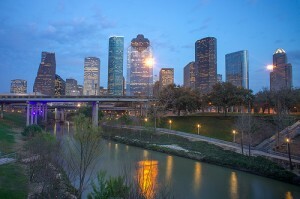 Houston, the site of the eighth Levitt Pavilion. We’re thrilled to announce that Houston has been selected as the site of the eighth Levitt Pavilion! Levitt Pavilion Houston will be the crown jewel of the 280-acre Willow Waterhole Conservation Reserve in Southwest Houston’s Westbury neighborhood. Just like Levitt’s six existing music venues across America (there’s a seventh in development in Denver’s Ruby Hill Park), Levitt Pavilion Houston will present 50 free, family-friendly concerts every year in a welcoming, outdoor setting for Greater Houston, home to a population of over six million people. When the sustainably designed venue opens in 2017, it will be able to accommodate up to 5,000 nightly concertgoers for a broad range of high quality concerts featuring acclaimed, emerging talent to seasoned, award-winning performers. This is such an exciting development for many reasons. When Levitt Pavilion Houston opens, it will be the second Levitt venue in Texas after Levitt Pavilion Arlington, which opened in 2008 and has experienced phenomenal success. It will also be the first Levitt venue to be part of a site dedicated to natural resource conservation. While Willow Waterhole provides needed green space for the neighborhood, it also helps Houston reduce flood damage via stormwater detention basins in the park. This means that Levitt Pavilion Houston will be providing free, live music for all Houstonians AND contributing to a safer, greener and more resilient community! We’re honored to partner with the City of Houston and the community of Southwest Houston to create a new, vibrant destination for all to enjoy. Stay tuned for more exciting announcements in the months to come! Read today’s article from the Memorial Examiner: Community Laying Foundation for Levitt Pavilion Houston. This entry was posted in News and tagged conservation, green space, Houston, Levitt Pavilion Arlington, Levitt Pavilion Houston, sustainable, Texas on November 13, 2013 by Melissa Smith. Wow, this is so exciting. What a great addition to our neighborhood!